We are going on a little stay-cation to a resort right in Austin. Massages, champagne, and eating the (probably gross) top tier of our wedding cake. We are ready to relax! We are also going to San Francisco two weeks later as a belated anniversary/Valentine's trip so that will be fun! Traditionally, one gets their spouse some sort of paper gift on their 1st wedding anniversary. This custom goes way back and I am all about traditions. Something old, something new, something borrowed, something blue, and a six pence in your shoe...yep that was me. So anyway...I already have Jon's gift ready to rock, I think that is why I am so giddy about our anniversary because I can't wait to give it to him! I've had it for awhile. You will just have to wait to see what it is! I was laughing trying to think of what Jon would get me, I mean besides a card which is obviously made out of paper, and my mom reminded me that money is made out of paper. Haha. Can you imagine, "hi honey, happy anniversary, here is a Benjamin". Especially funny since we share money too. Jon...no dinero for our anniversary please :-). Since I love traditions, I wanted to know what you have done for anniversary gifts in the past. Or if you aren't married/married but haven't gotten to your anniversary yet, can you think of good ideas? What should I get Jon next year? Cotton long Johns? For our first anniversary, we used plane tickets as our paper gift. ...our second anniversary is approaching quickly though and I'm at a loss!! Our first anniversary we were saving up and I didn't have a job yet since I was still in grad school. We wrote each other love letters. Second anniversary we splurged on nice sheets for our bed. Not the most romantic thing ever, but we use them almost every night, together, so I would say they've contributed to our marriage haha. Third anniversary we bought new luggage (this represented leather to me anyway) and went to Europe. This year... No idea yet! I'll think up something :) I would love to build something, or refinish a piece of furniture together, for our 5th anniversary - a piece we can hold onto forever. That would be pretty cool for wood. Linen though, we shall see what I can come up with. One of my close friends is from the South and she takes this tradition very seriously! For their first anniversary she made him a watch...out of paper hehe. (a combo of traditional and modern). The hands on the watch are always set at the time they were married (obviously - because it's a fake watch and the hands cannot move). Can't wait to see what you guys come up with! I love that pic of you BTW! SO CUTE!! How fun! We don't ever stick to the traditions. Come to think of it, I don't think we ever get each other anything. Ha! We usually just go to dinner and it always gets combined with my birthday since that's the next day. Looks like the next anniversary for us on the list is tin/aluminum. Maybe I'll get Ben a case of Pepsi! That picture is fantastic! New follower from #followfriday! Hope you have a great day & great weekend! I love that photo! I honestly think I'm more of an experience type of girl- I'd rather go on a trip instead of getting a necklace... although I do lovely jewelry. It's always fun to try new restaurants or food, it makes for a night to remember. Happy [early] Anniversary! For our one year anniversary I gave Dave a nice bound notebook (full of paper-duh) that has "From the heart of David J. Owens..." engraved on it. He uses it to jot down new song lyrics :) It's still one of his favorite gifts I've given him. 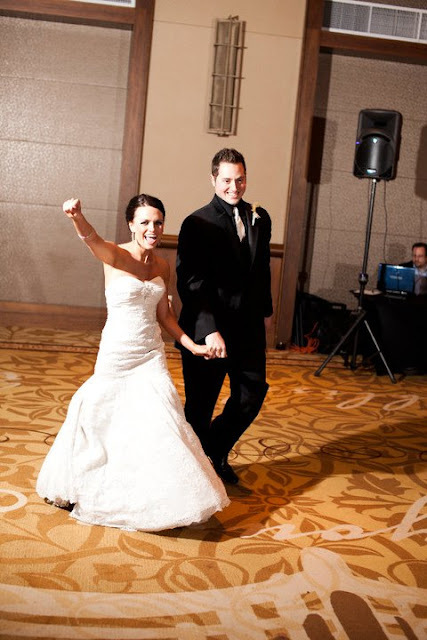 Such a cute wedding pic! Congrats on your anniversary! First off - happy anniversary. We will be celebrating our first year in March. I, like you, also want to keep with tradition. I have seen a few great ideas from Pinterest (obvi). Here are a two of my favs. 1. Framed picture with first dance lyrics written out on the matte. 2. Similiar theme - framed music sheets of your first dance. I am thinking of doing one of these. But I am am also interested in reading other ideas. On our 5th (dating) anniversary I got my boyfriend a Loveopoly game. (I guess that could kinda count as wood since it is made out of cardboard). We always play Monopoly/drinking Monopoly, and I found a website where I could personalize the game. I added our pictures to the center and the corners, and then I made each property somewhere we went on a date (lots of places around Austin!) or somewhere had been on vacation. Can't wait to see what you got Jon! PS - I think it's funny how so many of the traditional gifts are replaced with diamonds under the modern gift column! have fun celebrating your anniversary! 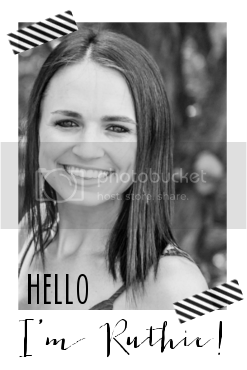 thanks for stopping by my blog :) i am not on good reads, i am on shelfari. 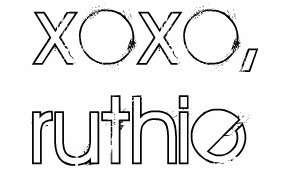 Love your blog and thanks for following mine! I can't wait to be married :) That is too cute. I am def gonna go the whole traditional route, every bit of luck helps, right!? Oh yeah... money! I've been thinking about a cool paper gift too (my first anniversary is this summer). Origami?? haha. 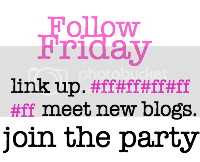 I'm a new follower from #FF, and it's great to meet you! Happy Anniversary! Love the picture. Thanks for the sweet comment on my blog. I enjoyed my visit to your blog so much I'm a new follower. We didn't do the tradition. I bought him a hammock from LL Bean and he loved it. I got earrings I think. Happy Anniversary! Love n Hugs! Love this, and your blog. 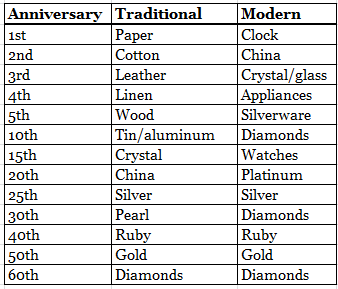 I like that the modern anniversaries has diamonds listed more! They're always nice gifts. Happy early anniversary, I hope you have the best stay-cation, as well as an amazing trip to SF. Have fun on your anniversary weekend, I can't believe it's been a whole year for you guys! That's awesome! We did something a little different! For our 1 year anniversary we planted a tree at our new house. Paper comes from trees, right?!? And now we get to watch it grow year after year! Happy Anniversary! If you're looking for the perfect 1st anniversary gift that blends the traditional (paper) and the modern (clock) into one, try dedicating your day to your husband through http://mydayregistry.com/gifts/first-anniversary-gift/!